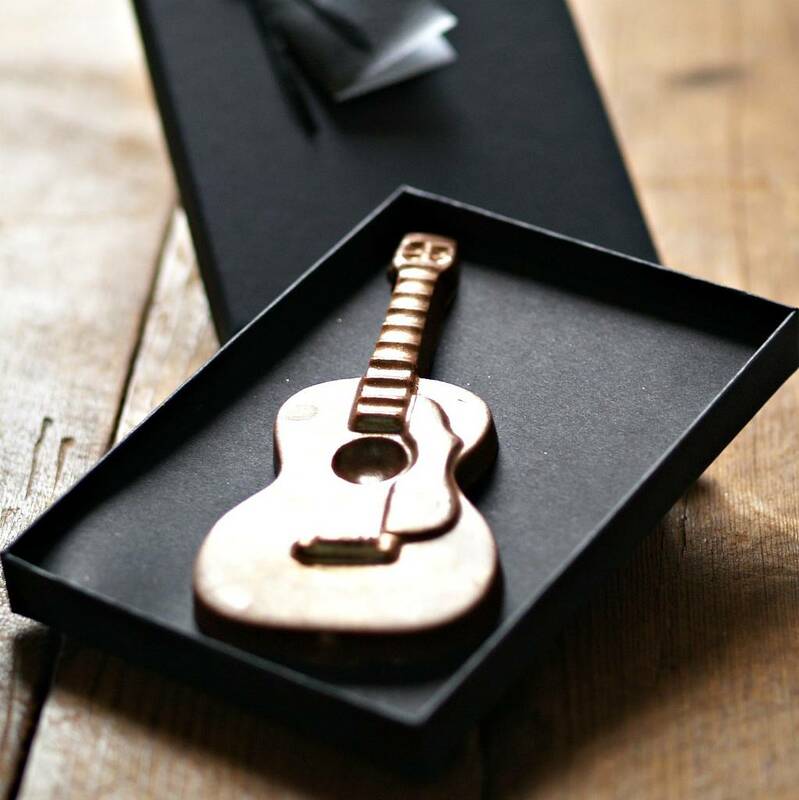 Fabulous chocolate guitar for the music lover with edible gold glitter. 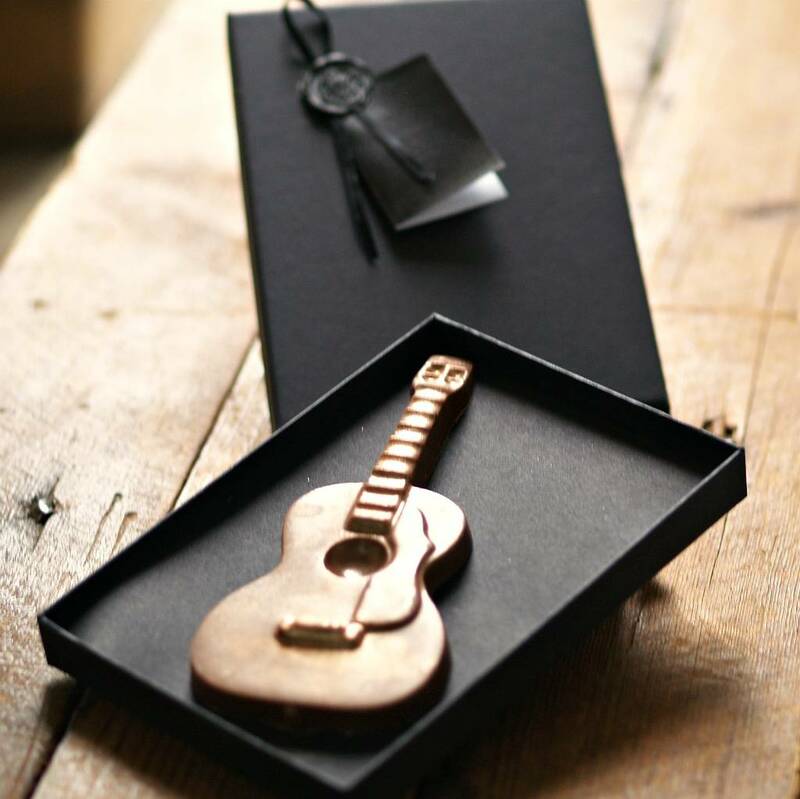 Packaged in a stylist box personalised with your gift message attached with wax seal. Available in either milk or dark chocolate, please select your choice from drop down menu. 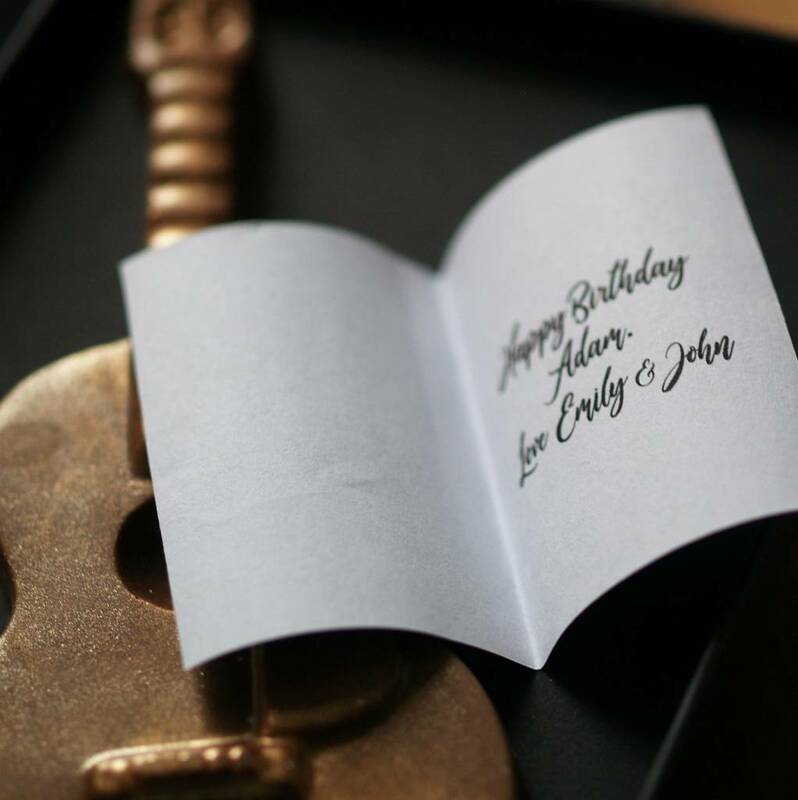 Please leave gift message where asked on drop down menu. 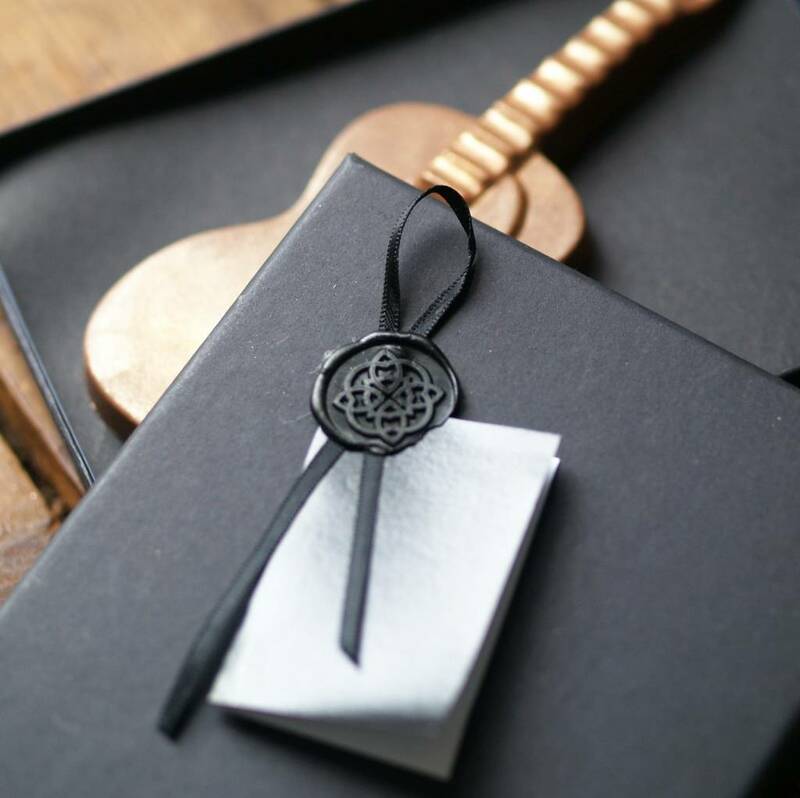 Gift tag attached to the gift box with a stylish black wax seal stamp for added luxury. Belgian milk chocolate Couverture (Min cocoa 33.6%): Cocoa butter, Sugar, Whole milk powder, Cocoa mass, Emulsifier; Soya lecithin, Natural vanilla.